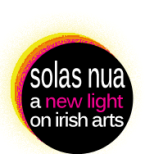 "Solas Nua (www.solasnua.org) was founded in 2004 to present the best of Irish contemporary arts to audiences in the United States. We invite Irish composers and media artists to submit pieces which combine original music and multi-media to be shown in Washington D.C. in Autumn 2014. Selected works will be eligible for a $1500 prize, which will be based on audience votes. Duration: Works shorter than 6 minutes are preferred, but longer works will be considered. Solas Nua plans to show selected works in a concert event, and may also display works at a D.C. visual arts venue. This opportunity is open to Irish-born, and Irish-resident artists of any age. Artists from both Northern Ireland and the Republic of Ireland are encouraged to apply. Submissions must feature the work of one Irish artist, and may feature the work of additional international collaborators. Solas Nua is open to a variety of approaches and styles in both music (acoustic, electronic, composed, improvised, etc) and visuals (animation, film, photography etc) elements. Pieces should be �fixed media� in nature as Solas Nua cannot provide performers for this event. This may can include both electroacoustic music and recordings of acoustic music. Mono and stereo audio formats are preferred. Solas Nua cannot accommodate multi-channel playback at this time."